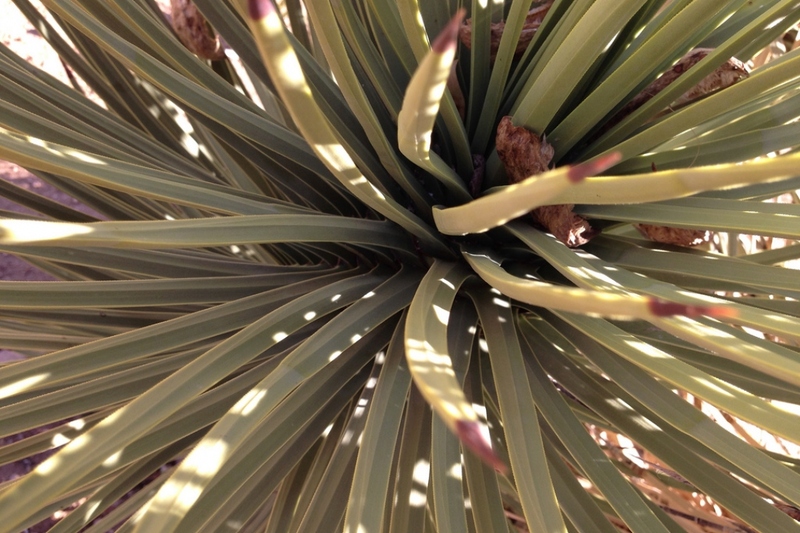 Joshua tree (Yucca brevifolia): growing, planting, caring. 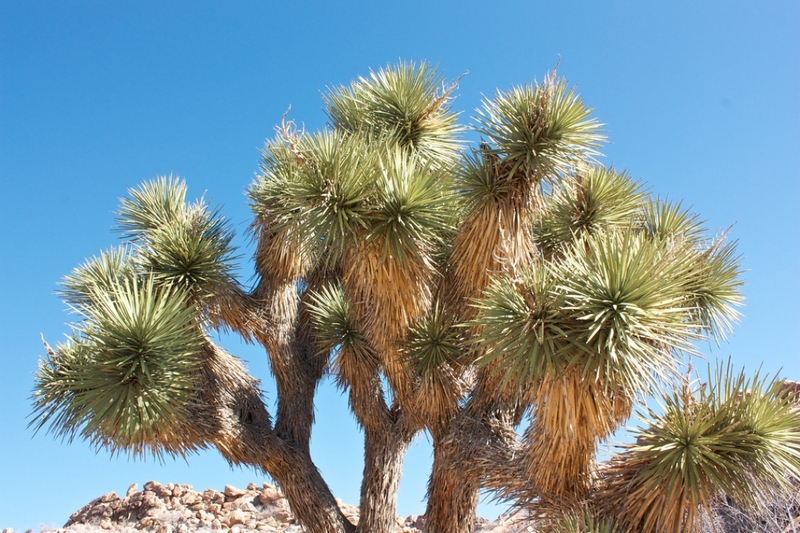 Yucca brevifolia is a plant species belonging to the genus Yucca. It is tree-like in habit, which is reflected in its common names: Joshua tree, yucca palm, tree yucca, and palm tree yucca. Yucca brevifolia is a plant species in the genus Yucca and in the family Agavaceae. 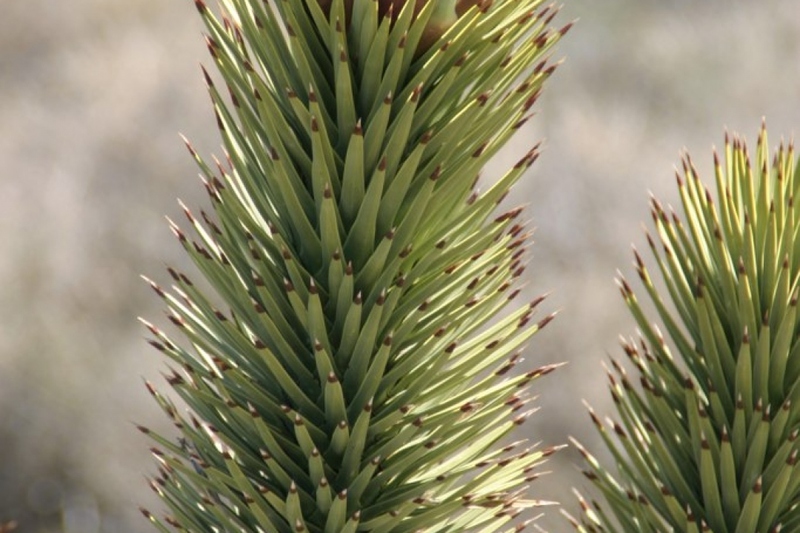 Its common names are Joshua tree and Yucca palm and Tree yucca and Palm tree yucca. They grow in the desert and reach about 15 m (49 ft). The evergreen leaves are dark green, linear, bayonet-shaped, 15–35 cm long and 7–15 mm broad at the base, tapering to a sharp point - they are borne in a dense spiral arrangement at the apex of the stems. The leaf margins are white and serrate. Take out your yucca in pot for the summer, from May. Find a spot in full sun, but sheltered from the wind that dries its leaves! By the end of the summer, bring in the pots. Winter your potted yucca in a very bright and frost free location: the ideal temperature should be between 12 and 24 ° C. During the rainy season, space the waterings gradually, waiting for the topsoil to slightly dry between two inputs.